Are you a parent who is worried about cyberbulling, sexting, and digital distractions? 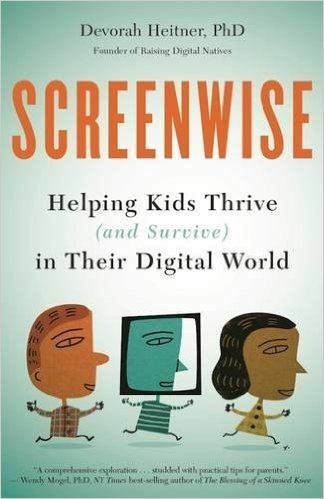 Screenwise: Helping Kids Thrive (and Survive) in the Digital Age by Devorah Heitner, PhD offers a realistic and optimistic perspective on how to thoughtfully guide kids in the digital age. "I’ve devised this quiz as a starting point," says author, media expert, and mother Devorah Heitner. "The questions will help you frame the issues around kids and digital devices. My hope is that you will get something out of it just by participating." Find out how Screenwise you are by taking our quiz! Screenwise offers an encouraging perspective on how to thoughtfully guide kids in the digital age. Many parents and educators worry that kids are addicted, detached, or distracted because of their digital devices. Digital Citizenship expert Devorah Heitner, however, believes that technology offers huge potential to our children--if parents help them. Screenwise helps parents recognize that the social wisdom they have gained throughout their lives is a relevant and urgently needed supplement to their kid's digital savvy. These skills can help set kids up for a lifetime of success in a world fueled by technology. Screenwise is a guide to understanding what it is like for children to grow up with technology, and to recognizing the special challenges--and advantages--that contemporary kids and teens experience thanks to this level of connection. Children's school experiences, family life and friendships are all shaped by digital connection. Educators and school leaders looking to engage parents around educational technology and wishing to create a culture of digital citizenship will benefit from this volume. Screenwise helps parents and educators move beyond discussions of "screentime" to evaluate different kinds of engagement with technology. Screenwise presents practical parenting "hacks": quick ideas that you can implement today that will help you understand and relate to your digital native. The book empowers parents to recognize ways that wisdom that they have gained throughout their lives is a relevant and urgently needed supplement to their kid's digital savvy. Based on real-life stories from families, the latest research, and Dr. Heitner's experience working with schools, Screenwise teaches parents what they need to know in order to raise responsible and empathetic kids in the digital age. Devorah Heitner, PhD is the founder and director of Raising Digital Natives, a resource for parents and schools seeking advice on how to help children thrive in a world of digital connectedness. An experienced speaker, workshop leader, and consultant, Dr. Heitner serves as a professional development resource for schools wishing to cultivate a culture of responsible digital citizenship. 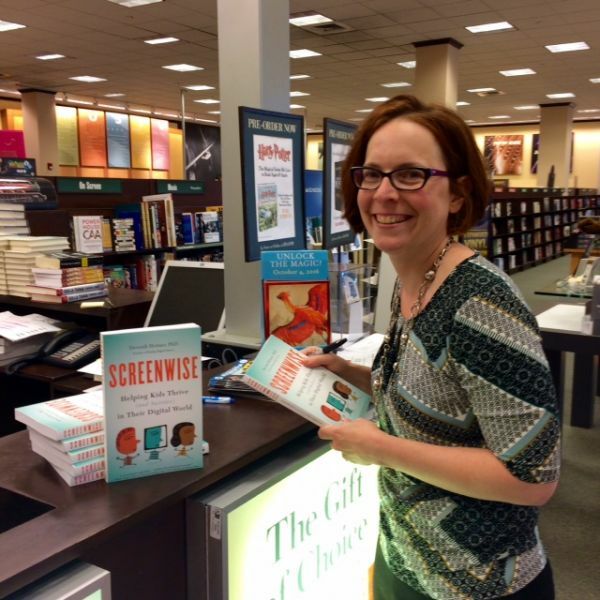 In addition to Screenwise, she is the author of Connecting Wisely in the Digital Age, a curriculum used widely by students across the country to help them navigate the common social and emotional challenges of the digital age. Heitner has a Ph.D. in Media/Technology and Society from Northwestern University and has taught at DePaul University, Street Level Youth Media, and Northwestern University. She is delighted to be raising her own digital native, too. Screenwise is available to purchase from Amazon, Barnes & Noble, and other retailers.